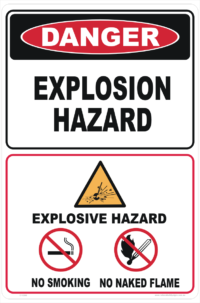 Explosives sign in a 900 x 200mm size and 800mm x 200mm. 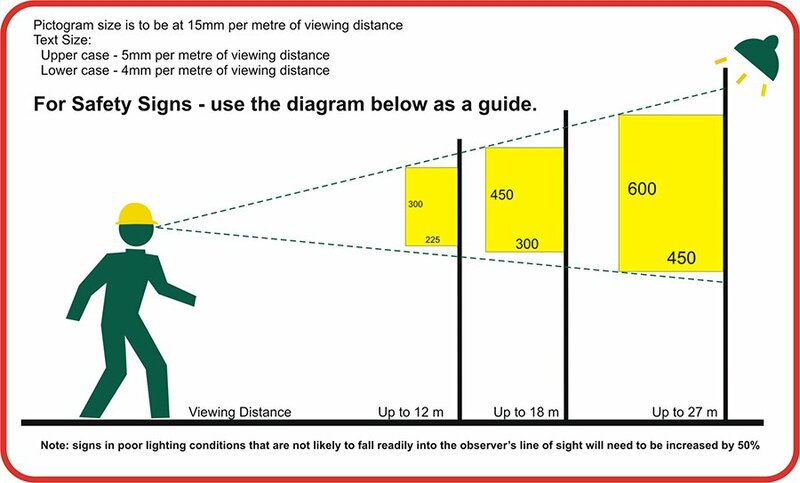 Choose reflective from the menu if required. 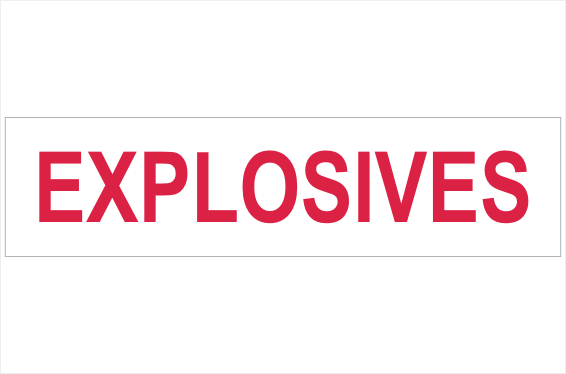 Explosives sign in a large 900 x 200mm size. 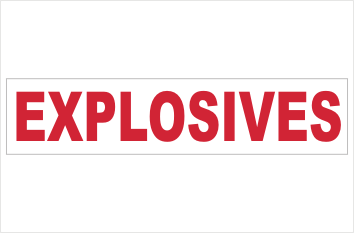 We sell this in 1.6mm aluminium or you may buy it as a vinyl sticker.